March | 2017 | Educate.Empower. Learning the alphabet and the sounds associated with each letter is the first place parents and teachers should be looking at when helping their child to learn how to read. My previous post on sight words was read by many which made me think how much importance parents do place on the skill of reading. As parents we play a very important role and can help your child learn, just as much as your child’s teacher does. Most schools will be introducing at least 2 new letters per week and the different sounds associated with that letter but parents can play an important role in reinforcing those sounds through short, fun activities. 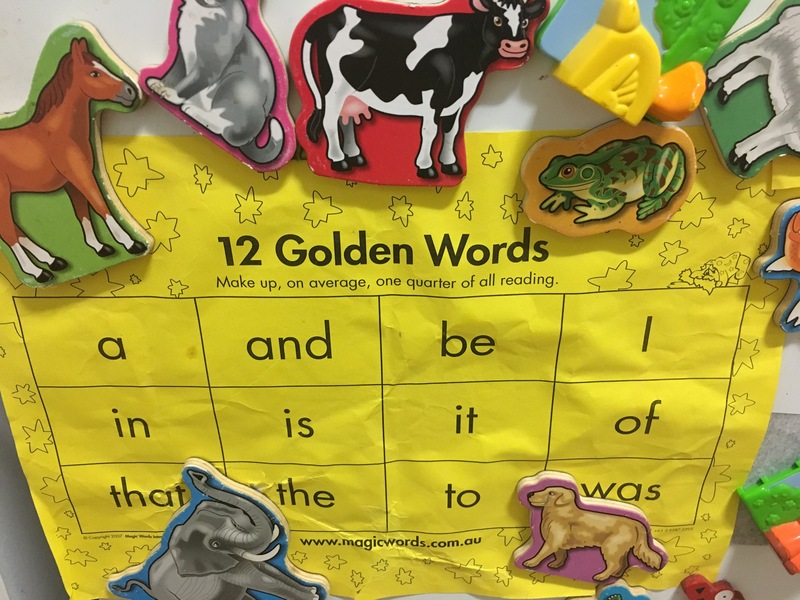 Link in with the sight words – Group your sight words according to initial sounds. This will word best with decodable sight words. Ask your child to find the same letter on a page in a book. Point to it and parent can read the word out loud. Parent points to a letter in a book and asks child to make the sound of that letter. Ask your child to look around the room and find words that start with a sound. Discuss if the sound might start with a different letter. Make different letters with letters, sticks, leaves etc . It is a great way to make sure they are forming the letter in the correct way. Find an old book and allow your child to circle around a particular letter. Read each of those words out loud and discuss if the sound changes. It is important to let your child know if some letters make different sounds so they have those tools ready for future use. Most of all, have fun with learning letters and sounds. And keep reading for pleasure every day! Libraries are full of adventurers, scouting out the prized treasure and seeking new pathways to undiscovered lands and long lost times times – don’t you think? I’ve always loved libraries – the quiet space, the smell of the books and the opportunity to read and discover many new things. I can still remember my primary school library and the local library so they must have been pretty special places. 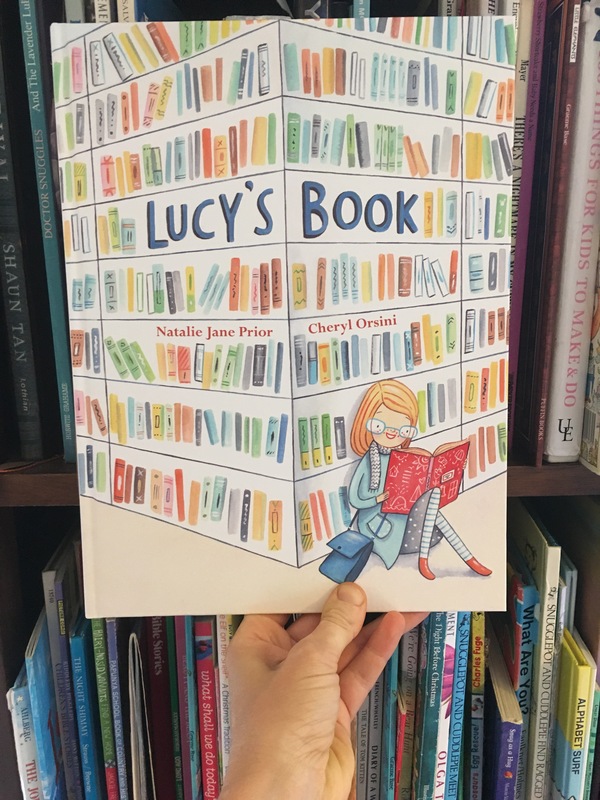 Lucy’s Book by Natalie Jane Prior and Cheryl Orsini is a wonderful adventure about borrowing books, sharing stories and running away with imagination. Lucy loves reading and has finally found the perfect book. She reads it over and over and shares it with anyone who has the time. When the book is returned we meet many new readers who devour the book just as much as Lucy has until one day when her book is no longer around. Lucy’s Book highlights the love of literature that many young children have and through finding the right type of books for each other we can deepen a love of reading. Why did Lucy love this book so much? Why did her friends love it so much? Explore the text and illustrations to find more answers. Why did the librarian get read of Lucy’s favourite book? What might have happened to Lucy if she did not find her book? How might the book feel about the adventures it has? – What is your favorite book? Draw or write about the book you love the best. – Re write the story from the Book’s perspective. How did the book feel as it was read by different children and taken to different places? How can book’s be kept in circulation for longer? Design a way in which books can be physically borrowed without being harmed. Or consider how books can remain in circulation (and not be forgotten on the bottom shelf) . This Sunday the 19th of March is International Read to me day. We need to read to ignite curiosity. We need to read so we can achieve our hopes and dreams. Reading blossoms ideas and imagination. Being read to helps others to understand the concepts of letters and sounds and how they link together. Being read to helps us to become better talkers and better listeners. Being read to helps us to sit still, be patient and take some time out. We need to read to be employed in most sectors. Those who are read to more often are more likely to understand the concept of reading earlier. Learning to love books comes from a young age. Parents need to install a love of a variety of books so there is less chance of becoming a reluctant reader. There are so many wonderful books out there – check out my blog and see if you can access any. Find out what your child loves and find books that link in with their interests. 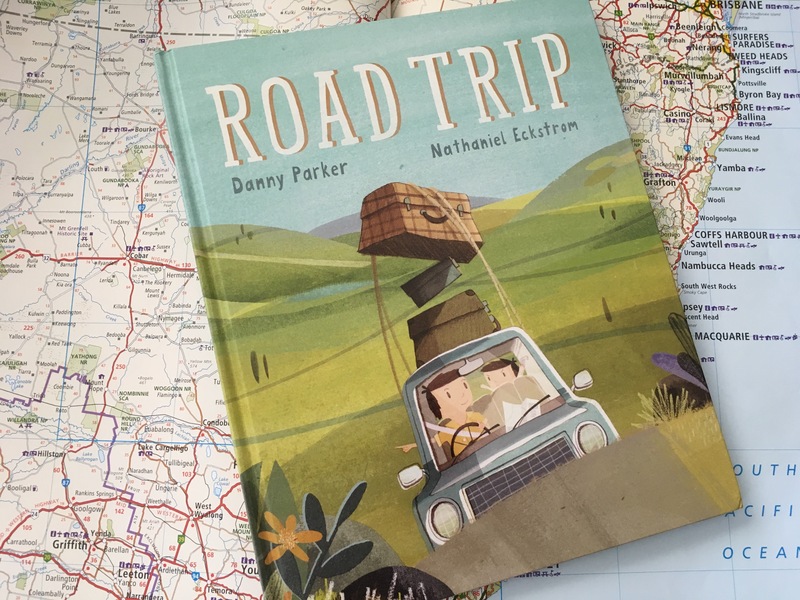 If you ever read in the bath…..
Road Trip by Danny Parker and Nathaniel Eckstrom is a journey in a story viewed through the eyes of a child. Father and Son embark on a long journey to a holiday destination – perhaps lower than the son would wish. Various landscapes are driven through, pit stops are made and games are played but the journey drags on – everyone has been on those road trips – they feel like they never end! 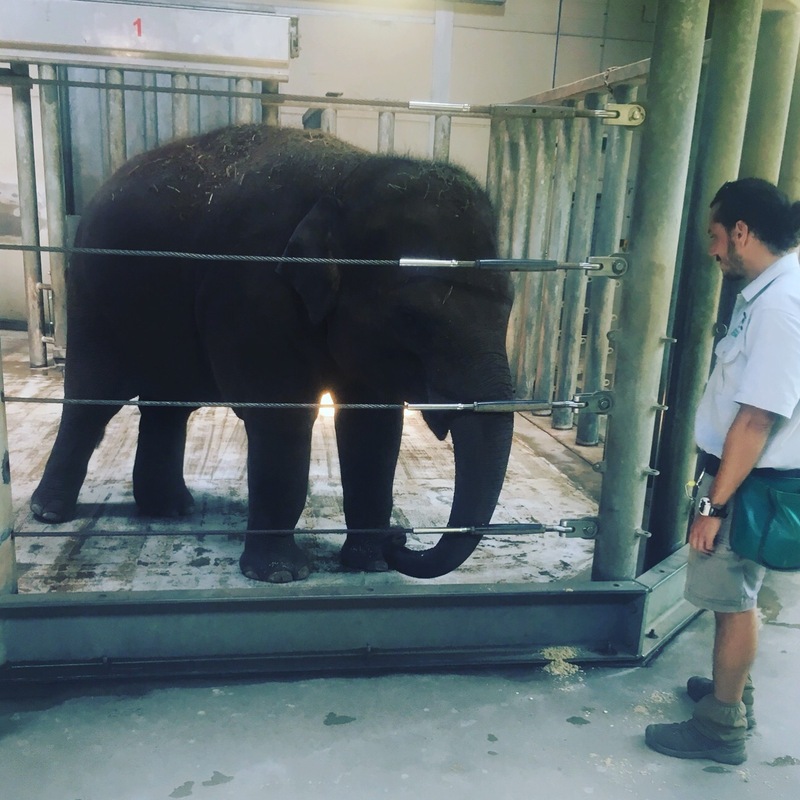 This story tries to teach the reader that although an hour may seem forever when you are waiting for something, it really is a short amount of time. And when you are spending that time with someone you love, perhaps it isn’t the worst thing! 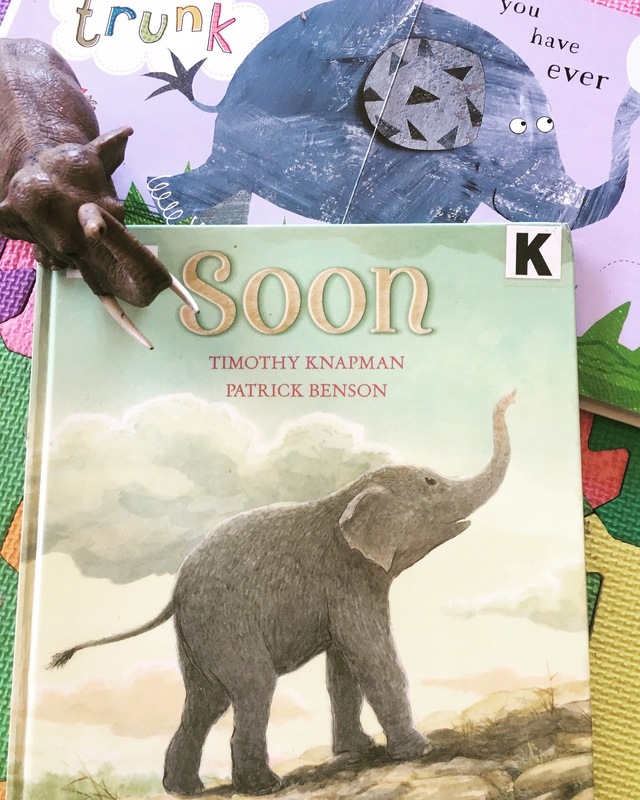 Nathaniel Eckstrom’s illustrations allow us to see the journey through both the father and son’s eyes – the amazement of the countryside and the boredom of the waiting! Road trip is a great story to read when learning about patience, empathy and the concept of time. Perhaps this should be read just before you embark on another road trip these holidays! Punctuation marks – Look for speech marks, question marks and exclamation marks. How are these used in the story and how does it change the way we read out loud? Rhyme – explore the words that rhyme in this story. Create word banks of rhyming words. Compare the spelling of these words – do words have to spell the same to rhyme? Talk about how long an hour is. Plan some games for the car trip, checklists for your children of things to look for so they feel more in control about what is happening on the trip! Some people have pet dogs, others pet cats but Hilda Snibbs has three monkeys! Three Little Monkeys by Quentin Blake and Emma Chichester Clarke is a heartwarming tale for anyone who has loved there own little monkeys! 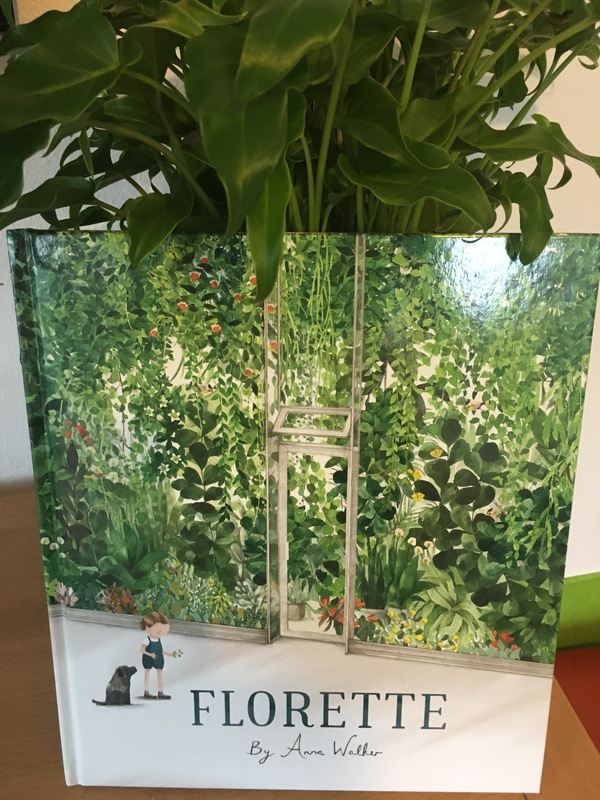 The collaboration between Quentin Blake and Emma Chichester Clarke creates a colourful, humourous and timeless picture book which will make you laugh, cry and possibly feel a little anxious! The Three Little Monkey’s teaches us about patience, love and the things that we do for those we care about. It also teaches us to perhaps look at situations from different perspectives before we make a judgement. Collage and pencil form the eye catching illustrations and give more meaning to those big round monkey eyes, despairing Hilda and many marvellous monkey antics! 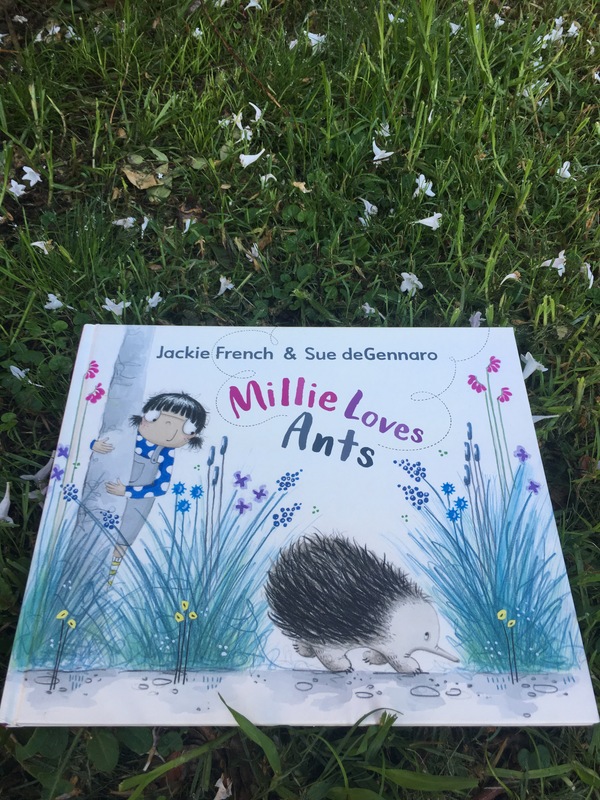 This is a wonderful read for children of any ages – and especially meaningful to parents through those trying times! Look at Speech Marks – If the monkey’s could talk – what would they say? Create your own sentences using speech marks. Visual literacy – look at the different facial expressions of Hilda Snibb’s throughout the story. How do we know what she is feeling without reading the story? Link emotions to facial expressions. Being able to understand how people are feeling through their facial expressions is a very important tool for everyone. This is a fun way to understand feelings. The hairy nosed Wombats find a new home by Jackie French. Did you realise that the health of the land depends on wombat burrows? How many different species might burrow in a wombat burrow? Would you trust a wombat dentist? 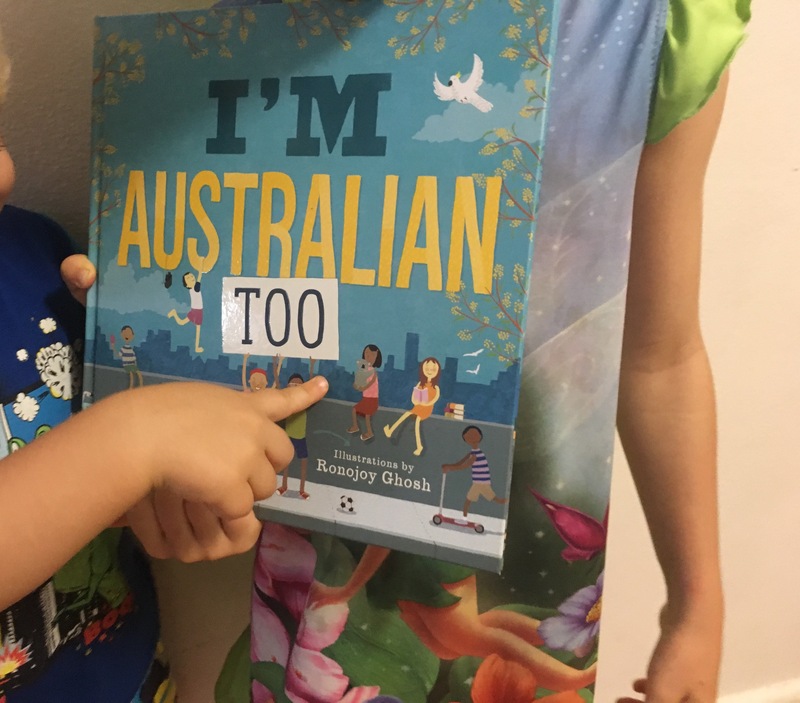 The Hairy -Nosed Wombats find a new home by Jackie French and illustrated by Sue deGennaro is a gorgeous story based on one of the world’s most endangered species that is now restricted to only two sites in Queensland. Through hard work by scientists and conservationists the population has risen to 200 but still so much more work needs to be done. The story of The Hairy-Nosed Wombats find a new home tells us about 176 wombats who were situated in just one place in the whole world and the need to find other locations in case that one place caught fire or flooded. Sue deGennaro’s illustrations bring a light hearted touch to the story of some of the Wombats being moved to start a new home – first the five big brave boys and then the girls cycling over to start a new life with good green grass and deep cosy burrows. The Northern Hairy nosed wombat is more endangered than the Panda but there is a good chance that a third home will be found and that the population will keep rising. Do some of your own research on the different breeds of Wombats that there are in Australia. Why are Wombat homes being destroyed? How do wombat’s keep the soil and water of the land they live in in great condition? Investigate wombat burrows and design your own underground home. Using a map, find out where the Hairy-Nosed Wombats live and then research into other locations of different wombats. Questions – Within this story there are a few questions asked. Find those questions and the question marks. Discuss what questions are and why we ask them. Make your own question mark about of natural material, take a photo or glue it onto paper and every day ask a new question about anything at all about Australian animals! Record these questions and find some time to answer them. What is a rhetorical question – these are the types of questions asked in this story. Why did the author choose to write these?